I rarely put up YouTube videos on this site – but if you’re interested in the age-old debate between spirituality and science, as I am, then this is really worth watching. 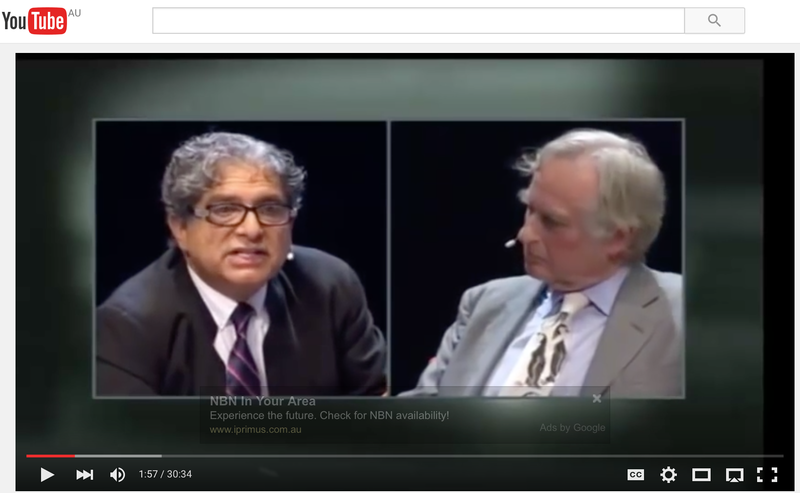 In the left corner is Deepak Chopra, fighting for Spirituality – and in the right corner is Richard Dawkins fighting for Science. It gets very ugly Bill!! Who are you calling ugly? ?